The new MX Player APK Update is here! 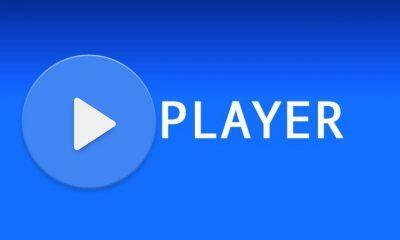 Let’s dive into the MX Player APK 1.10.40 Update. MX Player by J2 Interactive has been download by over 500 million users globally and is one of the most powerful media players when it comes to functionalities. The strength of MX player lies in its ability to run any video file with the right codecs installed, even on low-end systems and this has enabled MX Player to retain a loyal customer base across multiple platforms – smartphone, tablet, or Android TV box, windows. MX Player consists of both a free version and pro version, but there are no functionalities limitations on the free player. The content preferences option in the Me Tab enables the user to view the content of their personal choice and is a welcome addition in the 1.10.40 update. MX Player has always boasted of being a highly stable and each of its updates previously has dealt with the minor stability and playback issues. The 1.10.40 Update also fixes a few minor Playback issues found in the MX Player’s last stable release. Another fix done was the quality switching issue users have been complaining when using the online player. This fix provides a more seamless and immersive experience for the user without any noticeable drop in quality when streaming in the online player. This is an essential update as video playback in recent times has moved from being local to that of online streaming services, and this trend is only expected to grow more in the coming future, thereby making the online streaming experience essential to any media player. The 1.10.40 Update also fixed a few Navigation bar issues that occurred when using the Dark Theme on MX Player. All together the version 1.10.40 Update focusses on providing a hassle-free and immersive experience for the user by concentrating on both playback issues and updating the User Interface with the help of Themes. It’s a new update and how well it performs remains to be seen, but given MX Player’s track record of stable releases, this update is definitely on the way to a positive review from the users. If you want you can download the latest version of MX Player APK file from here.